Home / Dental Assistant / Dental Assistant Training / Taking Dental Assistant Classes: What Are the Typical Subjects You’ll Learn? Taking Dental Assistant Classes: What Are the Typical Subjects You’ll Learn? When you take dental assistant classes, you aren’t stuck in a university for two to four years as you are studying other dental careers. Gaining education for a dental assistant only requires a short amount of education time, even though you’ll learn varying disciplines due to the variety of work you’ll have in this career. You don’t even have to attend a university to gain a certification as a dental assistant. Most people seeking education for this career go to community colleges or even private dental schools. This isn’t to say universities don’t offer similar programs, even if the other options are sometimes less expensive. When seeking out dental assistant classes, make sure they’re accredited through the Commission on Dental Accreditation so you know you’re getting a proper education. The above organization is through the American Dental Association, and they accredit well over 270 learning programs in the United States. Once you attend class, what type of things will you learn while learning the role of a dental assistant? If you’re just now learning about the field, you might be surprised at some of the subjects you’ll tackle in such a short amount of time. Many courses start with a semester learning some of the basic functions of typical dental assistant duties. Since you’ll likely work in three different parts of a dentist’s office, this encompasses an interesting array of subjects. As part of what you’ll do working next to the head dentist and patients, you’ll have to learn basic anatomy and physiology. This includes learning about the structure of the mouth considering you’ll frequently have to insert or remove dental applications from a patient. You also apply anesthetics into patients’ gums before dental surgery takes place. While working directly on patients is minimal as a dental assistant, you still need to know how to do dental procedures correctly. With taking x-rays another one of your duties, understanding oral anatomy is essential, along with additional study on radiology equipment later. More courses in this first semester include studying math fundamentals and computer skills for use in the office. 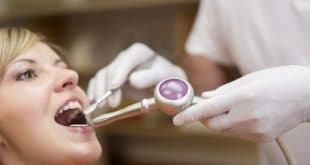 Most dental assistants do office management for the dentist, so working on a computer and dealing with billing is an ongoing part of the job. You’ll even learn basic CPR and first-aid so you’ll know what to do in emergency situations. By your next semester, you’ll get into learning more specific skills applicable to dentistry and other duties. By this time, you’ll learn about dental anatomy and pathology so you understand procedures, even if you don’t necessarily do them yourself. Since you frequently discuss procedures with patients beforehand, you need thorough knowledge of how each process works. Other courses during this time include learning many of the fundamentals of dentistry, plus dental pharmacology. In the latter case, this includes knowledge of different anesthetics you’ll apply to patients. Dental administration is usually added at this point for more education on managing an office. As you progress to further semesters, you’ll learn about specific dental procedures and how they’re done. This requires working directly in a lab so you have in-person training for real-world experience. Here, you’ll start learning about dental equipment, how each tool works, and using them properly. In your final semester, most courses start adding training on radiology for more detailed knowledge about dental x-rays. It includes learning about dental materials as well, something you’ll do when working in a lab within a dentist’s office. In this part of the job, you’ll sterilize dental equipment, plus clean many dental applications, including dentures. Contact us here at Dental Assistant to find out more about dental assistant classes and what you can expect to learn when taking the educational plunge. Next What is the Ultrasound Technician Job Outlook? What Training Does it Take to Become a Dental Assistant?